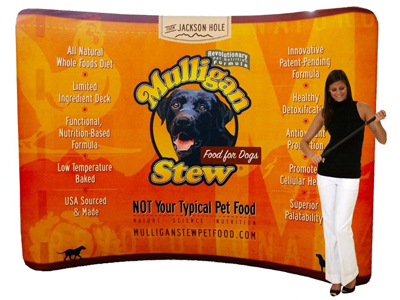 Our EZ Tube fabric display goes from a simple tension fabric frame background to a traffic-stopping display with the addition of simple graphics, economical props, custom carpet and coordinated pedestals. 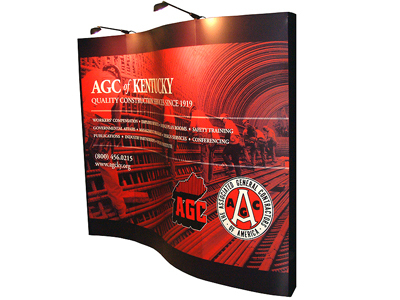 Straight wall, curved wall or serpentine back wall, the EZ Tube and the Waveline tension tube fabric displays are our lightest, most portable wall displays. 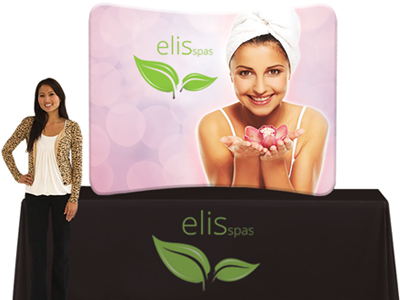 EZ provides a simple, economical platform for hi-impact graphics. 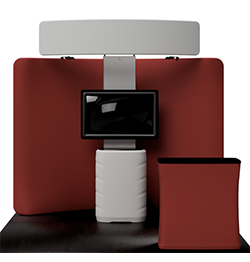 See below for Video options. 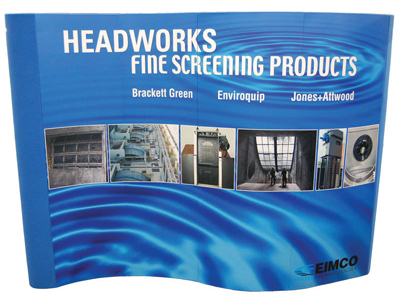 The EZ Tube Tension Fabric display is one of our most economical displays. 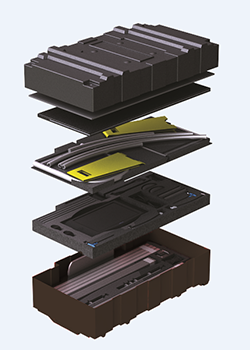 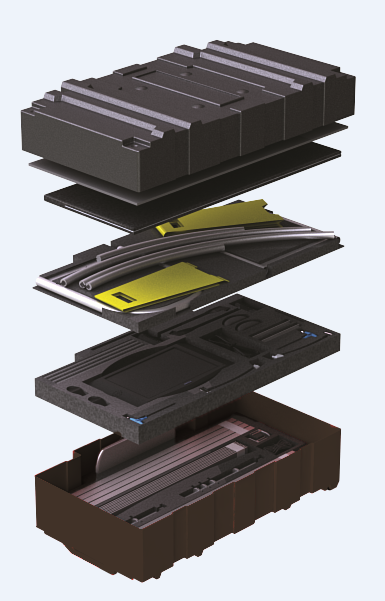 The EZ Tube is also our most compact backwall for ease of transport and snap-up assembly. 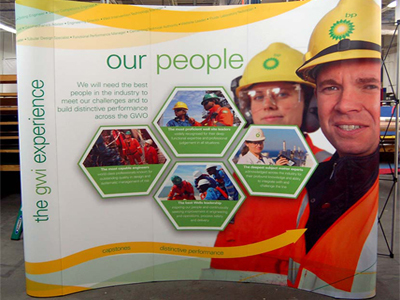 The tension tube fabric display is a simple but effective medium for your message, offering all the advantages of fabric graphics. 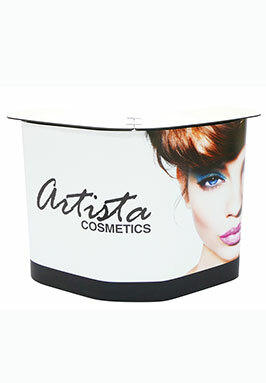 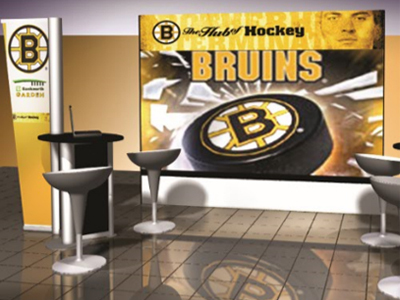 Sleek and “EZ”, our tension fabric display is a great alternative to bulky background displays. 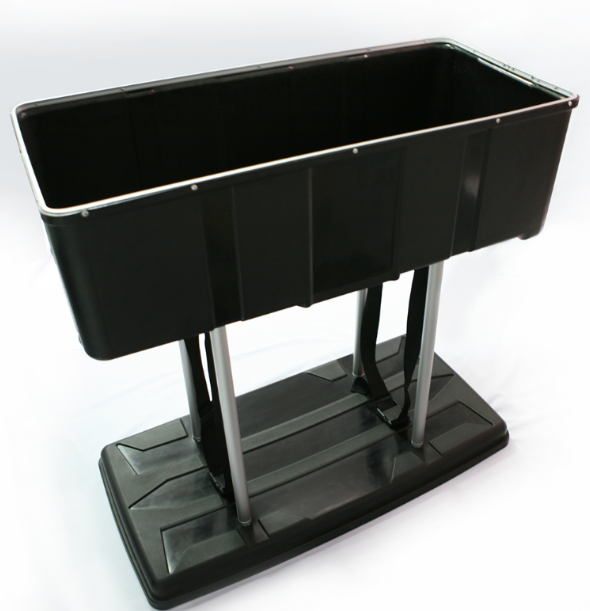 Quickly assembled in just 5 minutes, slide the tubes together to make the frame and lock in place with a push button snap. 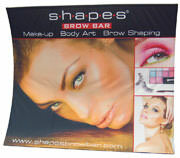 Then, simply pull the pillowcase-like graphic over the frame and zip it shut. 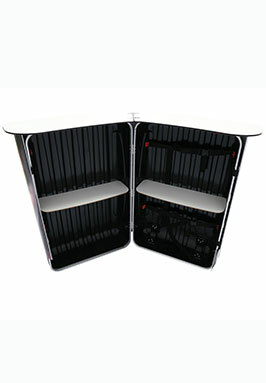 The zipper, hidden from view, tightens the stretch fabric, beautifully displaying your images. 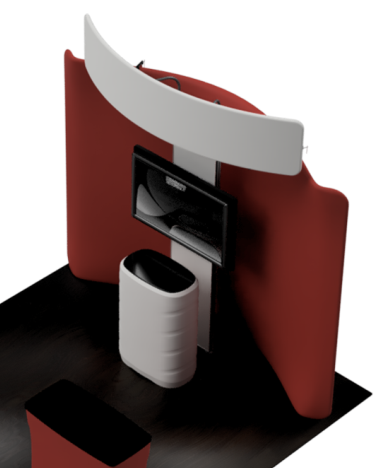 The EZ Tube is the lightest of our tension fabric frame displays. 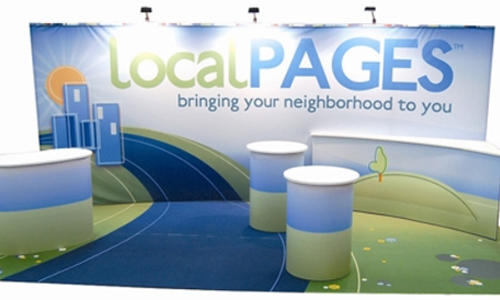 The frame is an aluminum tube that serves as a skeleton for snug fabric graphics. 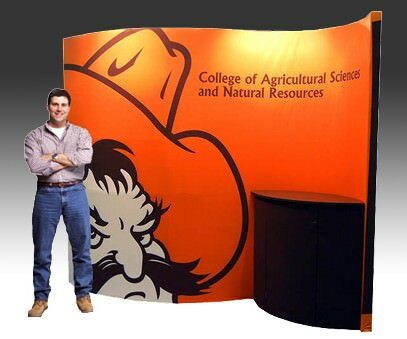 Many of the EZ frames are even lighter than a banner stand or pop-up with fewer parts to assemble. The display can easily and economically be updated with the change of the graphic “skin”. 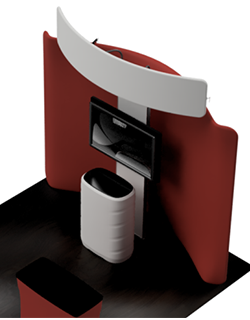 The EZ Tube folds down to a very compact, easy-to-transport package.. As with most of our displays, lighting is very important and spotlights are recommended. 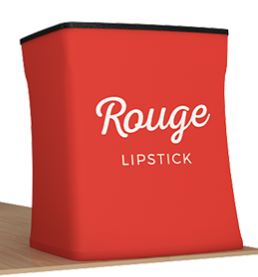 A nylon tote case is included. 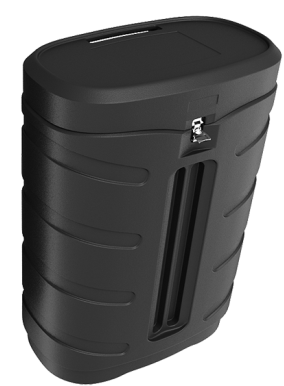 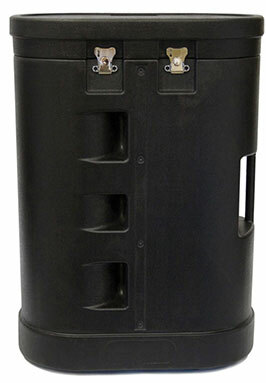 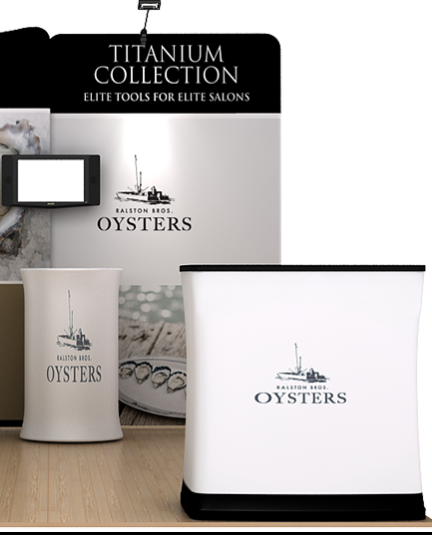 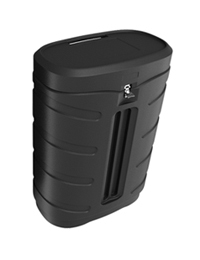 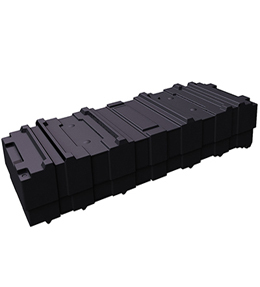 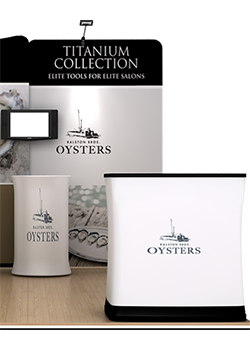 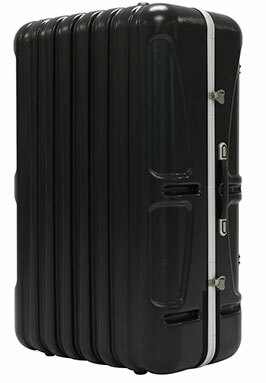 Our optional hard shell shipping case that converts to a pedestal or counter is an option. 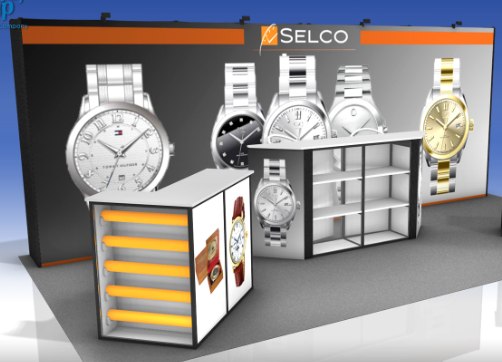 Prices Shown are for background display only. 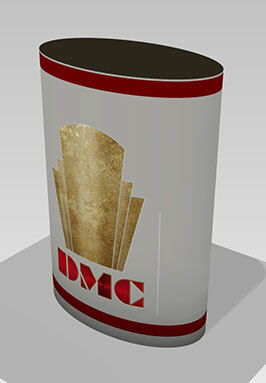 Custom props and add-ons can be quoted. 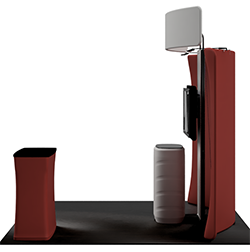 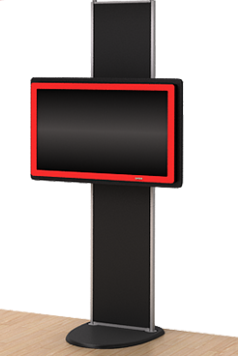 See below for case pedestals, counters and video monitor stand upgrades. 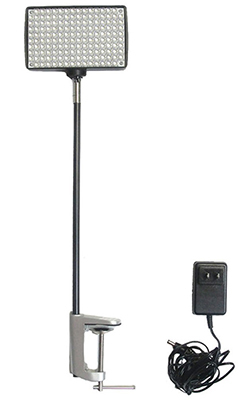 The Standroid system allows you to install a monitor at three Heights of 67″, 76″, or 87″, horizontally or vertical screen. 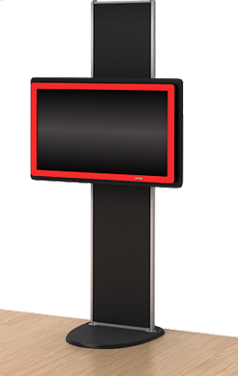 Add the Standroid to nearly any display to support up to a 50″ Video Monitor. 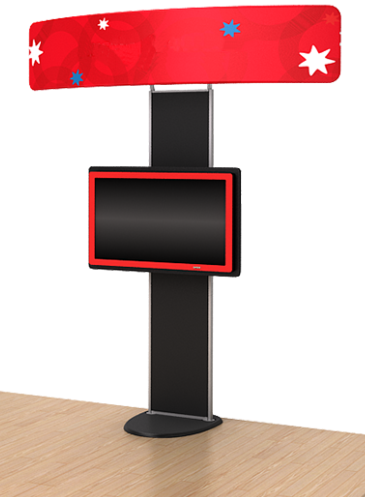 The Standroid can also support an Over-Header Banner for extra branding reinforcement, or, the stand can be used without the Over-Header. 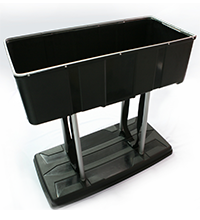 Use the video stand to bring life and add maximum attention to your display. 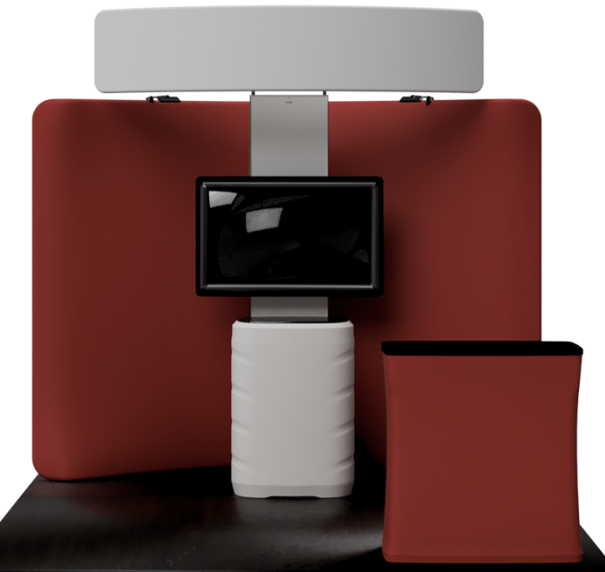 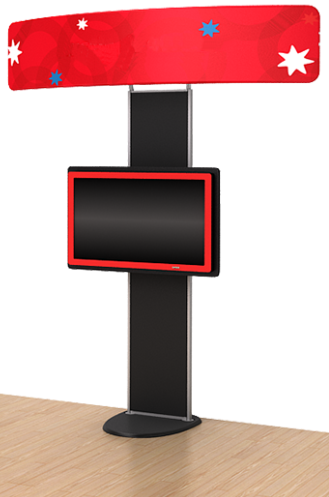 The Standroid can be placed on the outside of the display as shown here with case pedestal, or behind the backwall display graphic face as show in other examples shown in in this display section. 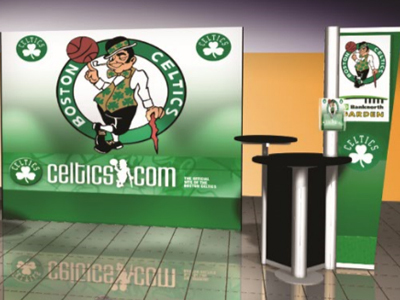 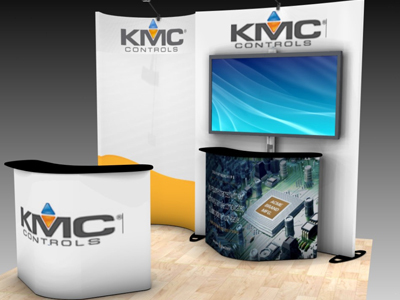 Standroid & Backwall Display Package Standroid with 10ft Waveline curve backwall: $3,630 Includes backwall frame, graphics, Monitor stand, Over-Header Stand Graphics, Shipping cases and Case Graphics & two LED spotlights. 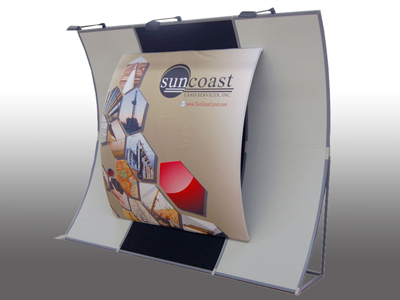 The Fabric Tension Tube display is the most cost-effective structural display. 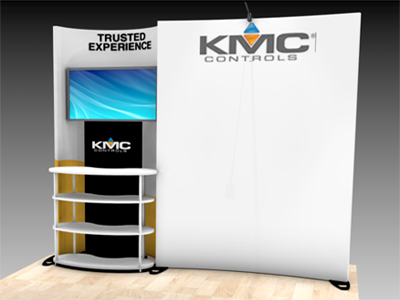 While not as compact as a retractable banner stand, it is nevertheless compact, lightweight & more sturdy. 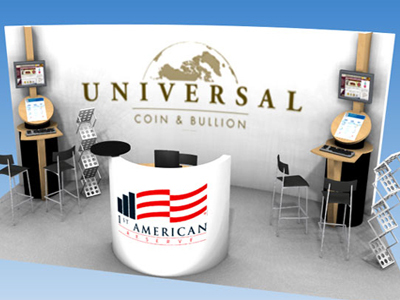 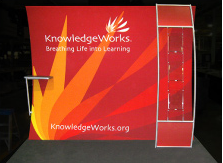 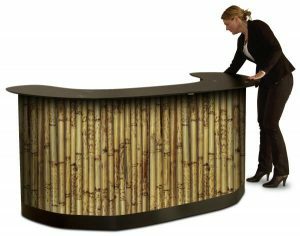 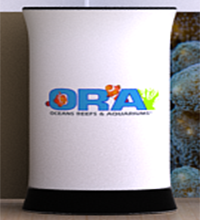 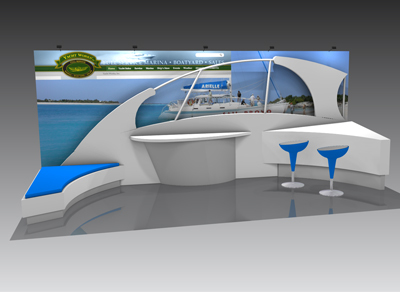 Combine the Tension Tube with an OutRigger video kiosk for a custom display. 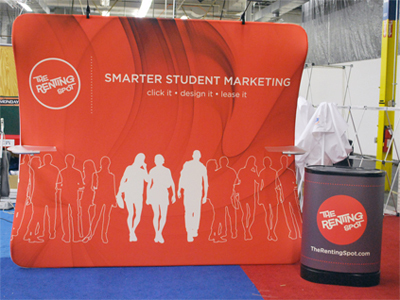 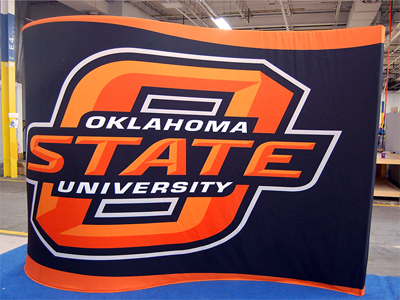 An “S” shaped E.Z Tension Tube Fabric Display can make graphics even more memorable. 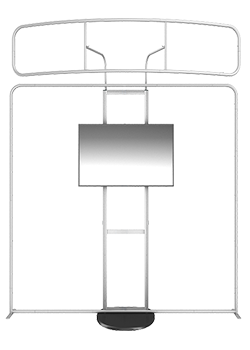 An “S” Tension Tube creates dimension for an island or inline space. 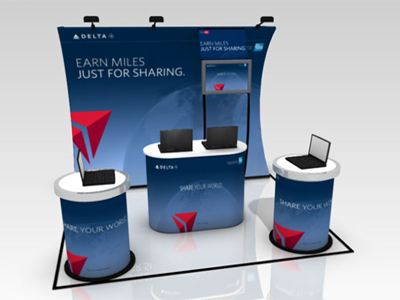 The EZ TensiTube Arch display goes from simple to sophisticated with the addition of our video OutRigger and shipping case-to-podium additions.